Moment is a new iOS app that has some interesting tracking abilities, TechCrunchreports. The app will run in the background, looking at how much you use the phone each day, and – if enabled – it will even track locations. Furthermore, the app can list usage statistics and can help users set up a limit on their daily iPhone usage in order to cut down their addiction. Developer Kevin Holesh, who created Moment for his personal use, says he made it in order to keep track of his iPhone addiction, and to give him a nudge when he’s been on it for too long. Holesh said that soon after moving in with his high school sweetheart, he noticed how both of them chose more and more to relax by starting at their smartphones rather than other activities. While the app may indeed be useful to those people who spend too much time on the iPhone, it also goes against everything the App Store stands for. Ironically, an iOS app developer came up with a way to limit the time users spend on the iPhones and therefore on apps. The application is available as a free download from the App Store and requires iOS 7.0 or later to run. Two of the most impressive devices to ever grace the smartphone market will go in a head-to-head battle later this year. While the LG G3 has been released in South Korea last month, the iPhone 6 is still in the works and will only be arriving around September according to multiple sources. Apple has done a good job at keeping its upcoming flagship behind closed doors, but the inevitable flow of leaks and rumors still came eventually. As soon as the flood gates were opened, we’ve seen dozens of reports speculating on the handset’s features, display, and specifications. We browsed through most of these reports and took into consideration only what seems the most believable in order to compare the iPhone 6 with the LG G3, one of the best smartphones currently available. The Korean company announced a couple of days ago that their latest flagship will be making its worldwide debut on June 27th. LG G3 will first be released in Hong Kong, Indonesia, Singapore, and the Philippines, and then move on to the rest of Asia, Europe, and the Middle East next month. LG didn’t reveal a US release date, but both Sprint and Verizon confirmed that the handset will be available for purchase in July, most likely on the 17th. The iPhone 6 on the other hand is only expected to arrive sometime during September. Rumor has is that Apple is restricting holidays during that month for employees working at its German stores, which suggests that a new device will be launched then. Furthermore, the iOS 8 is also said to release is September so that would fit in nicely with the flagship’s launch. Screen-wise, the LG G3 offers an impressive 5.5-inch QHD display running at 2560 x 1440 resolution and 534 ppi. The iPhone 6 is believed to come with a 5.5-inch sapphire glass screen although further details about it are unreliable. But rumor has it that Apple is looking to launch two versions of their upcoming flagship. The 5.5-inch will apparently be aimed at the premium markets while a 4.7-inch variant is said to target the average consumers. The latter will presumably come with a 1704 x 960 resolution display, 416 ppi and 16:9 aspect ratio. LG G3′s display looks vastly superior to the 4.7-inch model and we assume that it will also trump the 5.5-inch when it comes to resolution and pixel density. However, reports are still sketchy in regards to the 5.5-inch iPhone 6 so we’ll have to wait until more details are revealed to say for certain. On the hardware side, Cupertino is rumored to equip the iPhone 6 with either a quad-core A8 processor or an improved A7. The device is said to come with the best iPhone camera to date, which will be a 13-megapixel sensor with f/2.0 aperture and optical image stabilization, but only for the 5.5-inch version. This is similar to the LG G3′s shooter, which also comes at 13MP and features OIS. Aside from processor and camera, not much else is known about the iPhone 6′s specs. Some sketchy reports are claiming that the flagship will only come with 1GB of RAM, just like the iPhone 5 and iPhone 5s. On the other hand, the 5.5-inch handset is said to offer 128GB of storage while the 4.7-inch will be capped at 64GB. By comparison, the LG G3 can also reach 128GB via microSD, but only features 16GB/32GB options by default. LG’s flagship also comes in 2GB/3GB variants and includes a massive 3.000 mAh removable battery. There is no word on the iPhone 6′s battery, but Apple will be hard pressed to come up with something better than what LG offers. The G3 might lose the battle when it comes to storage if the iPhone comes right out of the box with more than 32GB. One the flip side, it seems like it will definitely win when it comes to RAM and possibly battery life as well. Another important aspect to take into consideration will be the operating system. iPhone 6 is likely to run on the upcoming iOS 8, which is said to come with many new features and improvements over the previous version. LG G3 currently runs on Android 4.4.2 KitKat and there is no news on whether the 4.4.3 version will be available to the device. Last but not least, the price will also play a key role in the upcoming confrontation. It’s estimated that the LG G3 will cost about $700 when it will be released in the US. This is the exact price we can expect for the 4.7-inch iPhone 6 as well, according to some analysts. The bigger version however is believed to add at least $100 more to that price tag. All in all, Apple’s premium variant of the flagship might end up being a bit more expensive, but will it be worth it? 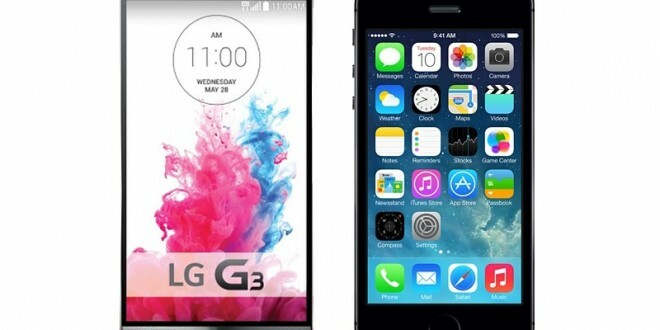 We can’t say for certain because we don’t have a complete specs list yet, but from what we’re seeing the iPhone 6 will likely be somewhat less powerful than the LG G3. Also, the display might end up not being up to par either. Do you need a phone and can’t make up you mind between Samsung Galaxy S4 Mini and iPhone 4S? That isn’t a problem anymore since this article shows you the right information about each one with an extra price comparison. Samsung Galaxy S4 Mini shows a 4,3-inch Super AMOLED capacitive touch screen that renders a resolution of 540x960pixels whereas iPhone 4S works with a 3,5-inch LED-backlit IPS LCD capacitive touch screen that renders a better resolution of 640x960pixels. Samsung Galaxy S4 Mini is lighter with its 107grams and dimensions of 124,6×61,3×8,9mm while iPhone 4S is heavier at its 140grams and 115,2×58,6×9,3mm as dimensions. Samsung Galaxy S4 Mini is dotted with a 1,7GHz dual core krait processor and Qualcomm MSM8930 Snapdragon 400 chipset. 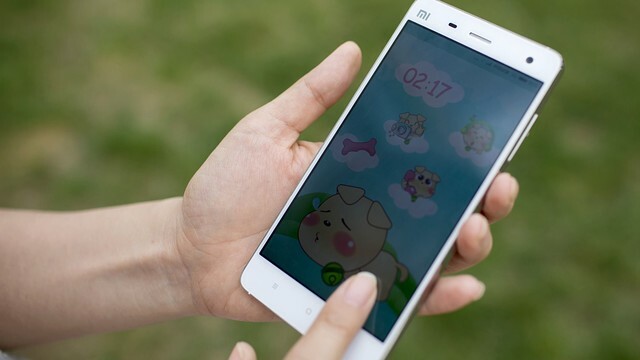 It has only 8GB internal memory that can be enhanced to 64GB with a Micro SD card. iPhone 4S works on a 1 GHz dual core cortex A9 processor and Apple A5 chipset. It has four versions of internal memory: 8GB, 16GB, 32GB and 64GB that has no possibility of improvement. Samsung Galaxy S4 Mini functions on Android Jelly Bean operating system that uses 1,5GB of RAM while iPhone 4S works with the iOS 5 operating system that can be improved with the iOS 7 variant. It uses 512MB of RAM. Samsung Galaxy S4 Mini shows an 8MP main camera with LED flash and auto-focus. The second camera on it uses 1,9MP. iPhone 4S’s main camera is the same as Galaxy’s but has a second camera that is the VGA kind. Samsung Galaxy S4 Mini is powered by a Li-Ion 1,900mAh battery that permits 12hours of talking on 3G or listen to music for 49 hours while iPhone 4S gets its power from a non-removable Li-Po 1,432mAh battery that resists to 8hours of talking on 3G or listen to music for 40 hours. Samsung Galaxy S4 Mini costs 381,85 dollars while iPhone 4S can e found at a price around 334,89 dollars.